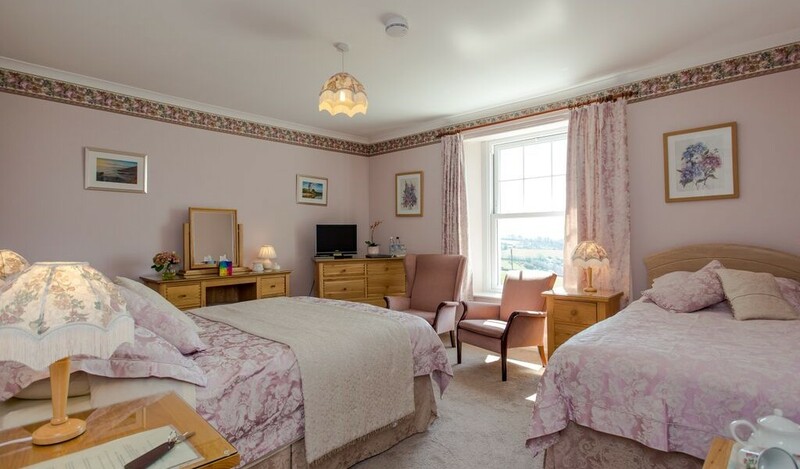 A good sized room with a Double bed and a Single bed providing for double, twin or triple occupancy. 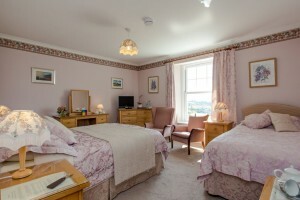 A luxurious airy bedroom with tremendous views across our fields to the sea, Looe Island and Looe itself. Alongside the beds are bedside tables and lamps. Storage includes a chest of drawers and walk-in wardrobe. Two bedroom chairs, a dressing table and stool, add to your comfort. 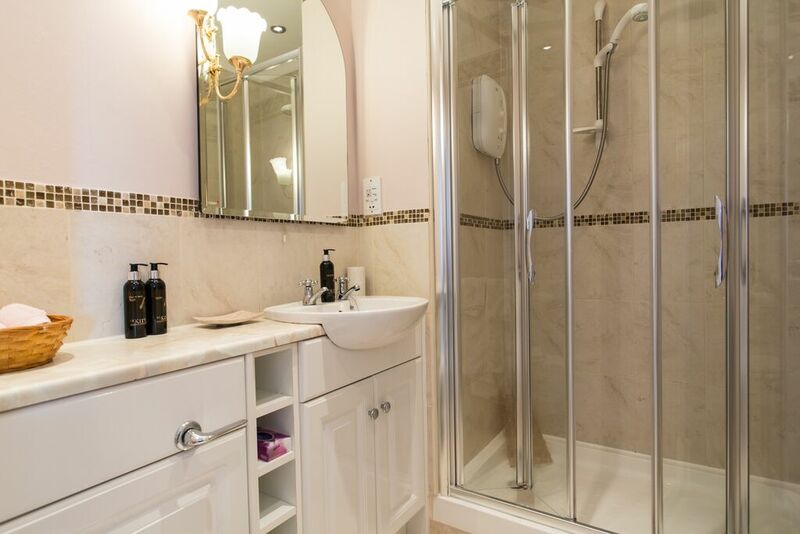 The well equipped en-suite includes a shaving point and a large walk-in shower.